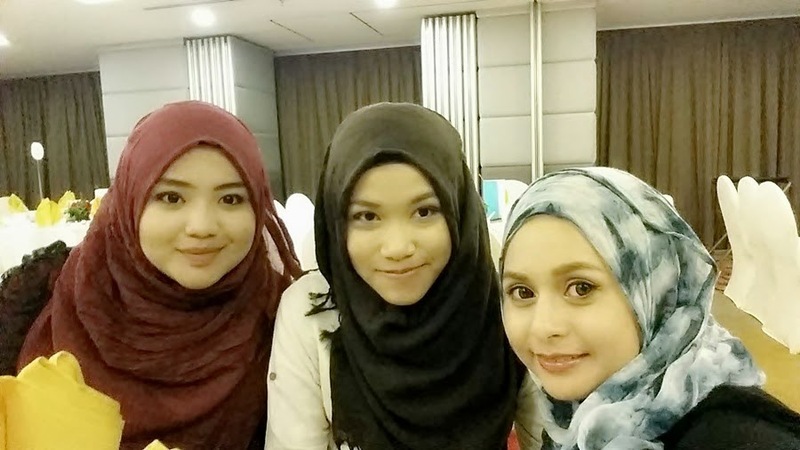 Last a few weeks ago I was invited to Cosmoderm Appreciation Dinner..This Dinner were held at Hotel Royals, Kuala Lumpur..
Cosmoderm has introduce their new ambassador for their Tea Tree Oil Range 2014 that is Amri Yahyah, a Malaysian footballer..Cosmoderm is a Malaysian Brands and of course it is halal products! No worries for Muslims especially..Cosmoderm was established since 2001..Cosmoderm has produce a lot of product from up to toe! from skincare to bodycare! To be honest, I do not know what is the dinner theme and I end up wearing according to the dress code for this dinner! hahahaa..here come the fashion sense konon lahhh kan.. However, I still cannot beat the others.. They all dress up well, wearing a Beautiful Dress and Handsomely Tuxedo !! I went to this dinner with Kak Sabby and Sab ! We have a great time and enjoy ourself that night..
the menu of the night was Chinese Cuisine ! SEE the Menu!! The Table were full with foods that night..
After one menu to another menu they send to our table..NON-STOP I guess! HAHAAA..
My favourite that night! YUMMY!! This dinner is special for all Cosmoderm agents and customers! They have some performance and lucky draw too and the prize was amazing..but, I was not so lucky that time..hohohoo.. The main highlight was to introduce the NEW Product from Cosmoderm that is Tea Tree Oil Range Series.. It is a products that suitable for you face and body..definately focus on the acne and oil problems.. The Tea Tree Oil Range Series consist of Cleanser, Lotion, Body Wash. Soap and Anti Blemish..
Where you can find Cosmoderm Product?? no try this brand before.